E X P E R I E N C E T H E U N I Q U E N I N E T Y M I L E B E A C H F R O M H O R S E B A C K ! 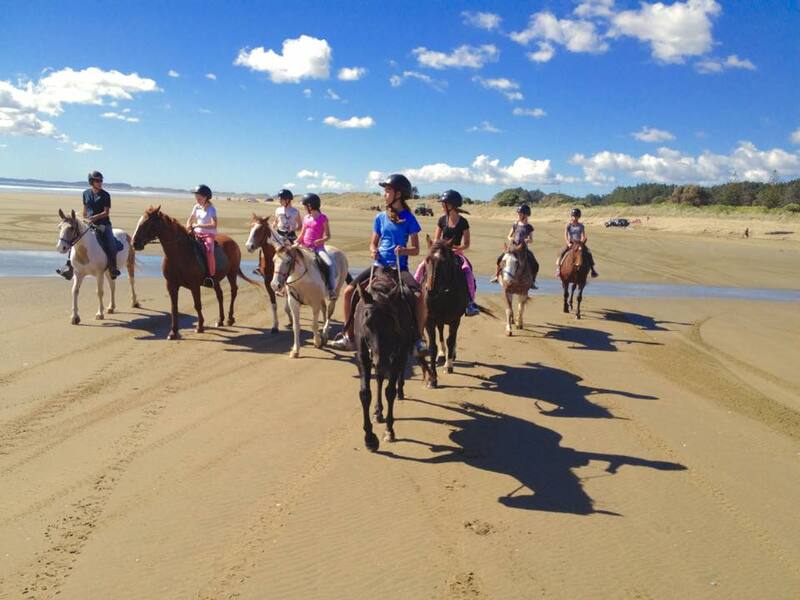 We provide 1 and 2 hour treks along one of New Zealand’s most beautiful west coast beaches, and may include, where practical gently rolling grasslands and the excitement of ocean riding. We operate year round (weather dependent) so contact us now to book your horseback experience! A minimum of $20 deposit per rider is required to secure your booking unless otherwise negotiated. Please note that this request form does not mean your booking is confirmed. For same day or next day enquiries please ring us on 09 4082 532 during business hours, or after hours on 027 333 8645. Some snapshots of the amazing visitors, horses and scenery. If you have some photos we would love to see them! You can tag us on Facebook, Instagram or send them to us via email! Treks may be postponed if weather conditions are considered unsafe and we will attempt to reschedule, however if this does not suit a refund will be given if there is at least 2 hours notice or at the discretion of management. Customized treks may not always be feasible or available. If you would like to enquire about a longer trek, riding experience is necessary, and a minimum number of riders may apply. Ahipara Horse Treks reserve the right to re-route or cancel customised treks at the discretion of the guide on the day. The $20 deposit per rider is fully refundable should you choose to amend or cancel your booking at least 24 hours prior to your scheduled trek time. If no notification is given, part or all of the deposit will be kept as a cancellation fee at the discretion of management. If you are running late please contact us! If it has been more than 15 minutes, you may have to re-book your trek, and a cancellation fee will apply. This is at the discretion of the guide on the day and will depend on whether there are other riders affected. Follow us to keep up with the latest!